Whether you have enjoyed wine for years, are new to wine, or are looking for a unique gift for a friend or family member, the Tinder Box/Vino 100ís Wine Club is money well spent. For $35 a month, you receive two bottles of wine valued from $45 to $60. Choose either two reds or a red and a white, and enjoy a variety of wines that you may not normally try. And, that is not all! If you like a particular Tinder Box/Vino 100 Club wine and want more, you will get 15 percent off that month’s club wine while supplies last. 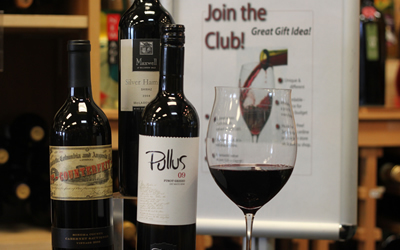 If you purchase a year’s membership in advance, you’ll receive a bottle of wine, which retails for $50, at no charge!